I love to give out this recipe since there is a bitter and sweet taste into it. Fast and easy to make. 1. 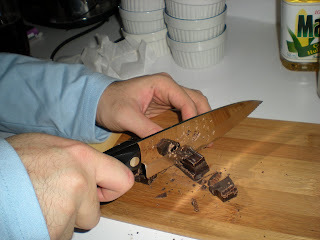 Chop chocolate with serrated knife then place it in a heatproof bowl over simmering water. 2. Bring milk to a boil. 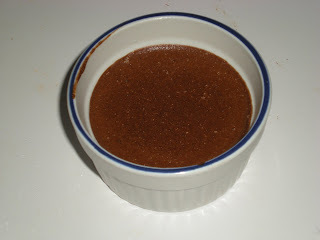 Pour it onto melted chocolate. 3. Add egg yolk to mixture, should be hot & comfortable to touch. 4. 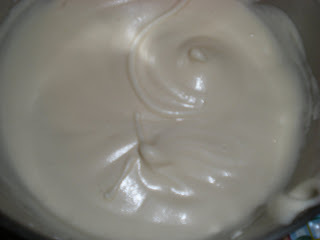 Beat egg whites with cream of tartar until firm peaks. Add sugar bit by bit while beating. 5. 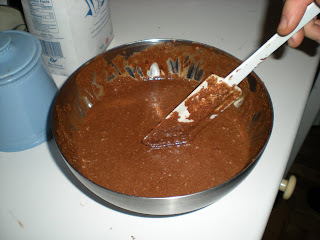 Add 1/3 of whites and whisk briskly. Fold rest of egg whites with a plastic spatula. 6. Serve & chill for at least an hour. To check if egg whites reach firm peak. Simply lift some of the whites out of the bowl, the tips should droop gently. For folding, use a spatula and simply cut down through the center of the whites and gently bring some of the heavier mixture up and over them. No whites should be visible.